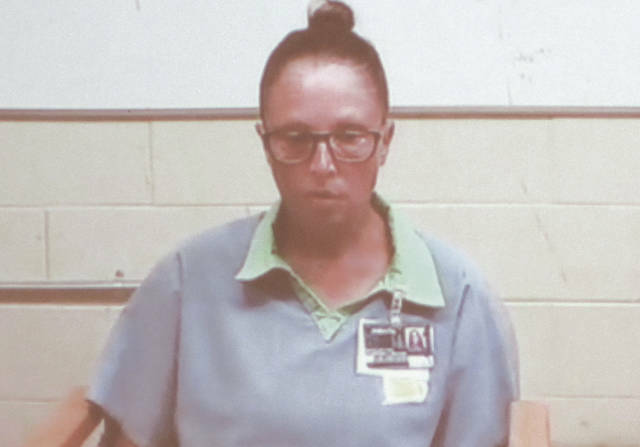 Cynthia Moyer, 45, of Greenville, appeared via video teleconference to request judicial release. Moyer was sentenced to one year of imprisonment in the Ohio Reformatory for Women in June, on charges of aggravated vehicular assault and endangering children. Quentin Brame, 22, of Dayton, was sentenced on charges of assault. Brame pleaded guilty to the charges after being arrested in July of this year. 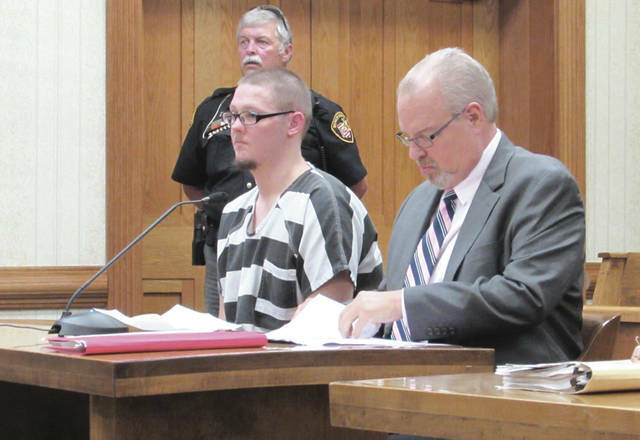 GREENVILLE — Darke County Common Pleas Court heard an assault case and an appeal for judicial release Tuesday afternoon. Brame was previously sentenced to two years in prison on a felonious assault charge in June 2016. That charge stemmed from an incident involving the beating of two women in Union City. Following his sentencing for that offense, Brame resisted being taken into custody. Later, after being transported to Darke County Jail, Brame reportedly spat on one deputy and bit another on the hand, resulting in additional charges of assaulting a peace officer and harassment with a bodily substance. Judge Martin Birchfield, of Van Wert County, presided over Brame’s sentencing on the resulting assault charge. Brame also said he wanted to pursue counseling to continue learning how to deal with his anger. Judge Birchfield sentenced Brame to 90 days in jail with 44 days credit. Cynthia Moyer, 45, of Greenville, appeared via video teleconference to request judicial release. Moyer was sentenced to one year of imprisonment in the Ohio Reformatory for Women in June on charges of aggravated vehicular assault and endangering children. The charges stem from an incident in November of last year that resulted in serious injuries to a child, whose leg was broken in several places. Moyer was allegedly driving while under the influence of methamphetamine at the time. Assistant Darke County Prosecutor Deborah Quigley disagreed, citing the injuries of the victim in the case. “The state believes the 12-month term was warranted in this case,” Quigley said. Judge Hein granted Moyer’s request for release and sentenced her to up to 60 months of post-release supervision. This entry was tagged Aggravated vehicular assault, assault, Common Pleas Court, court, Darke County Common Pleas Court, Dayton, drugs, Endangering children, Greenville, jail, Meth, Methamphetamine. Bookmark the permalink.